98 Link length for use on a 2/6spd with a 44T front chainwheel and either the 12/16, 13/16 or 13/15T combinations of rear sprockets. 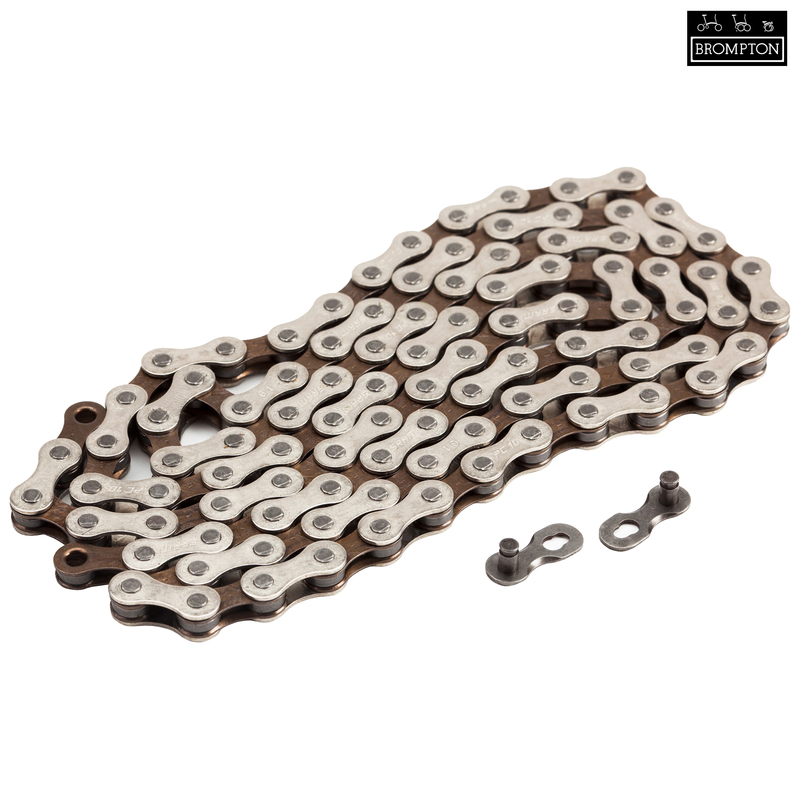 98 Link length for use on a 1/3spd with either a 48 or 50T front chainwheel and either 12 or 13T rear sprocket. Well it is just a new chain, but the right length. Easy to join with the quick link. Easy to fit with the power link. I renewed the transmission on my Brompton and at the same time lowered the gear ratios by replacing the 44 tooth chainring with a 39 tooth. This entailed removing one set of links from the chain and the special connecting link was easily fitted. All working perfectly. Is this the correct chain to use with the 13/16T Bwr 6spd Wide Ratio sprocket set? If you have the lowered gearing on your bike (44T front chainring) then this is the correct chain, if you have the standard gearing (50T front chainring) then you'll need the the 100 link version which is SJSC part number 13748 and if you have the raised gearing (54T front chainring) then you'll need the 102 link version which is SJSC part number 13750.